28 Jan Bernice & Wade’s Celtic handfasting on the Cornish coast. 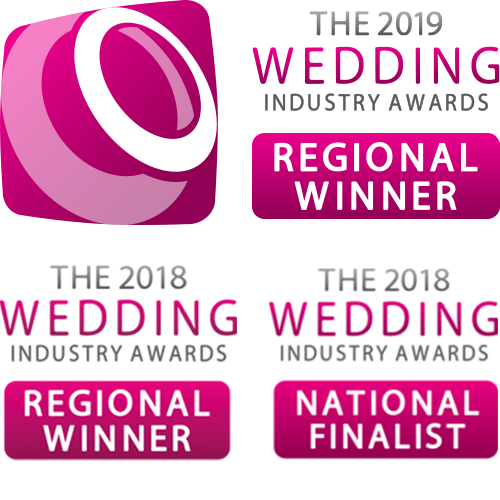 Bernice & Wade first got in touch with us after watching the television series of Poldark and falling in love with the dramatic Cornish coastline. Living in South Africa, they dreamed of visiting Cornwall. 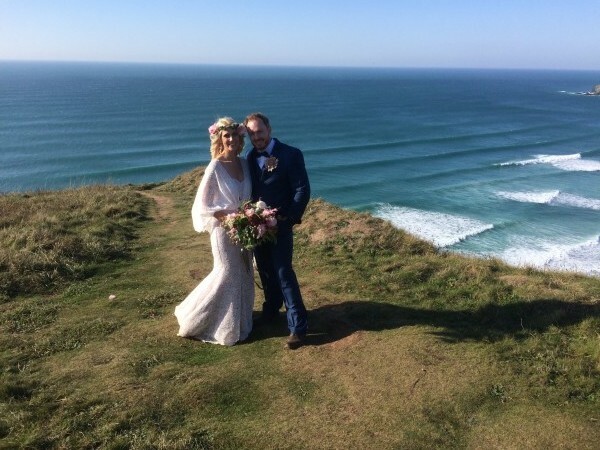 They decided to make the trip to the UK and down to Cornwall to find their perfect ceremony location, on the cliff tops, looking out to sea at Bedruthan Steps in Mawgan Porth. The couple chose a Celtic Handfasting for their ceremony, we just love this type of intimate family ceremony and celebration and were of course, delighted to oblige! 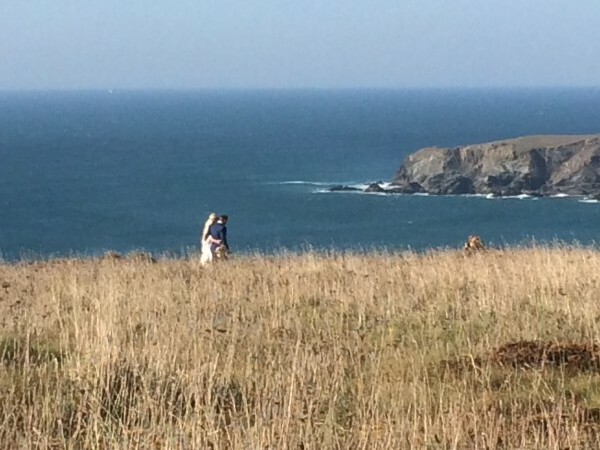 We wrote a heartfelt ceremony, drawing inspiration from the wild and wonderful scenery at Bedruthan and included aspects of the Celtic origin myth, as well as calling on the elements and cardinal points for their blessing. 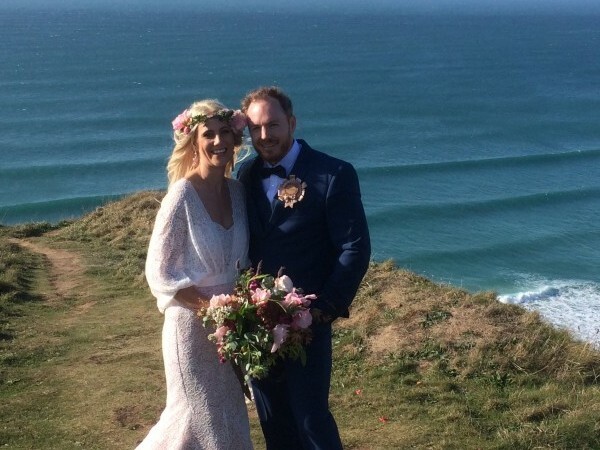 With just a few close family members around them to witness their union, we didn’t have a plan B but we had decided that we were happy to conduct the ceremony on the clifftop come rain or shine – which in the middle of October it could have gone either way! We were delighted to see blue sky and sunshine on the day and although it was a little windy, this did not matter. We were all so lucky as a huge storm blew up the next day, so that date was timed to perfection! Celebrant ceremonies always provide memorable moments as no two are exactly the same. The moment they were handfasted, the couple looked at each other with such joy and love – it is such a privilege to witness and be a part of their day. Passers-by on the cliff path stopped to watch, at a respectful distance, and commented afterwards at what a romantic sight it was!